WORLDWIDE: Standardisation will be crucial in the development of offshore wind to enable cost reductions, mitigate technical risks, help foster public acceptance and ease integration into onshore grid systems, according to a new report. Earlier this year, the International Renewable Energy Agency (Irena) projected growth in the offshore wind sector could accelerate in the coming years, rising from 19.2GW in 2017 to 521GW by mid-century. But to achieve such rapid development collaboration will be needed, and emerging markets should learn from mature, established markets. However, policymakers and certification bodies should be conscious of local and regional variations in water depths and weather conditions, the agency warned in a new report. Dolf Gielen, director of Irena’s innovation and technology centre, said: "As costs fall and technology improves, countries beyond the existing European market will pursue their offshore wind potential in support of strategic energy policy priorities. "Now is the time for the development of a harmonised and documented global standardisation framework that enables these countries to access the cost-effective potential of offshore wind." 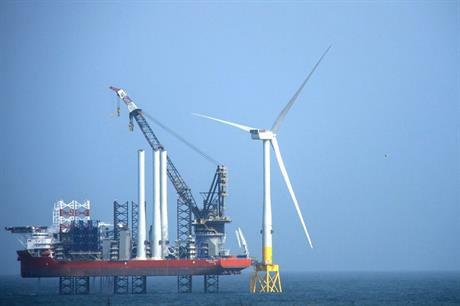 Standardisation in offshore wind has emerged mainly from the offshore oil and gas industry – but also from onshore wind – and is happening almost exclusively at the international level, according to the report, Nurturing offshore wind markets. International standardisation of infrastructure, foundation types, turbine certification and operations and maintenance (O&M) benchmarks, for example, can help ensure harmonisation of requirements and enable global scale-up of offshore wind technology. It could also ease integration of offshore wind farms within onshore electricity grid systems, Irena claimed. To do this, an "engaging and consensus-based approach" is needed, the report’s authors added. In particular, emerging markets such as China, Japan and the US (which had a combined installed capacity of 2.8GW at the end of 2017, according to the Global Wind Energy Council) could learn from mature markets such as the UK, Denmark and Germany (combined installed capacity of 13.4GW at the end of 2017). However, different conditions in different markets could mean some standards are not universally applicable, Irena stated. For example, Denmark and Germany have relatively shallow waters, and so fixed foundations have become the standard. Japanese and US projects, meanwhile, would be in much deeper waters and so will rely more on floating solutions. Similarly, climatic conditions in the established markets of northern Europe differ from more extreme conditions found in other parts of the world, in which typhoons, cyclones, earthquakes and icing are more prevalent. And some challenges facing the offshore wind industry have little or no precedent, Irena warned. Installing and connecting dynamic machines – presumably including cabling and foundations – and floating turbines will require new thinking and tailored solutions, the report’s authors suggested. An IEC (International Electrotechnical Commission) sub-committee is currently developing standards for the design of offshore floating wind turbines, Irena pointed out.